With Halloween just around the corner, videogame publisher Eidos has decided to put the frighteners on Wii and DS gamers by launching a ghoulish game. Monster Lab is described as a “RPG action game” in which you take on the role of an apprentice scientist who creates his very own monster from over 100 million possible monster-part variations. You and your newly created Frankenstein monster must then go out and explore Uncanny Valley, where the evil Baron Mharti rules with a cruel hand. Along the way you’ll have to search the land for ingredients to make more monster parts, fight other monsters, get involved in quests and compete in numerous mini-games. The ultimate goal is to vanquish Baron Mharti. 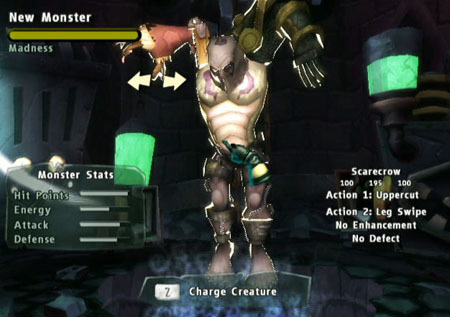 Fabien Rossini, Global Brand Controller at Eidos, said that Monster Lab offers "gesture based combat, on-line fighting and trading, and total customisation of the player’s monster”. 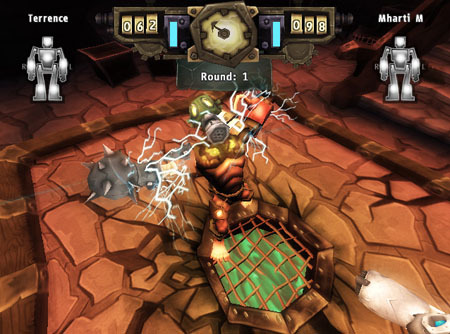 Monster Lab will be released later this year, but a price hasn’t been pieced together yet.